GIVEAWAY! Doodlebug Valentine Clipboard prize package! We have loved sharing Valentine's inspiration this week! From Shellye's darling Valentines card box, Marla's adorable treat box holders and wall art and Stephanie Klauck's Valentine's card yesterday, it truly was a week of love and of pink and red. We won't lie, it's always a favourite week around here. To round out this week, we have one more fun surprise! Who wouldn't love this fantastic prize package from our friends at Doodlebug! One lucky SCT winner will receive a brand new Valentines Clipboard prize package! Clipboard, Daily Doodles, washi tape, Doodle Pops, and elements from the Sweet Things collection! Imagine all the "love-ly" things you can create with this package and for fun, just imagine the look on your mailperson's face when you greet him/her with a huge, excited grin. Yes, this could be YOU! For an opportunity to win, please leave a comment below by Thursday, February 18! Good luck! Congratulations Leanne! Please send your mailing information to me directly at catherine@scrapbookandcards.com and will get that on it's way to you! Thank you for a great week SCT readers! We hope you have a great Valentines Day and if you're looking for more, be sure to visit our "Lots of Love for my Valentine" Pinterest board too! Thanks for having these awesome giveaways 🙂 this prize pack looks great! How “lovely” to win a package full of love. Yosemite little bugs are darling. Love all the cute animals! Wonderful prize pack. What a wonderful way to end the week. And a great way to start Valentine’s weekend. Happy weekend to you! That clipboard is the cutest. I love how you always show the trendiest products. Many times if I didn’t see them here I would have no idea they even existed. I will be looking for one of those clipboards. Love Doodlebug products. Thank you for the oportunity! I love Doodlebug! oh my goodness, how adorable is this??!!!!! I love doodlebug…thanks for the opportunity to win such a cute prize! What a treat for Valentines Day! Super cute and fun!! Thanks! What a fun prize! Thanks for the chance. Thank you for always giving away such great fun packages! So much inspiration on this site! AS always, LOVE your giveaways. Doodlebug’s products are always so bright and cheerful! Doodlebug has such fun products. Thanks for the chance to win. ISn’t that too cute!! THank you so much! Doodlebug always has the cutest holiday items. Thank you for the opportunity to win them. I love all things hearts & Doodlebug has such cute lines!! Thanks for the chance. Oh, I’ve been drooling over this Doodlebug line of papers. How fun! Adorable clipboard and Valentine’s Collection. Thanks for sharing with us! I just love Doodlebug! They have the cutest products! I love the cute little icons! Thanks to DD and SCT for the chance to win. So adorable!!! A lovely prize! Congratulations to the winner and what a fun giveaway. SCT knows how to celebrate. Love the cute creations from Doodlebug! Thanks for a terrific blog. Happy Valentine’s Day and family day weekend. Such a sweet prize! I would love to win it and hang it up in my grandson’s room! Thanks for a chance to win an awesome prize. Love the Doodlebug things. What a great package! Doddlebug has such adorable snd festive products…definitely motivates everyone to get busy this valentine weekend! I would love to win this! Doodlebug is one of my favorites. Thanks for the chance to win! Wow what a cute and fun clipboard kit! I love the Doodlebug giveaway! Thanks for the chance to win and Happy Valentine’s Day! Would be so wonderful to win this. Doodlebug is my absolute favourite company and I don’t have a clipboard from them yet so this would be the perfect prize to win! Thanks for the chance!! Too darn cute!!! Would love to have this Clipboard collection so I can keep my projects straight and know what I need to finish or to write down ideas that are itching to come alive!!! Thanks for the chance to!!! Happy Lover’s Day! Doodlebug! My favourite!!! Would LOVE to win it! Happy Valentine’s Day to you, Catherine, & everybody at SCT!!! Three weeks from today….can’t wait!!! Feeling the love with this cute giveaway! Would be sweet to win this! Whoever said diamonds are a girls best friend never laid their eyes on Doodlebug goodies!!! I love Doodlebug! Looks like a great prize package ful of Valentine fun! Thanks for the chance to win. Yowza!! That is one sweet goody collection and one that my two little girls and I would go crazy over! Love all the fun colors and that clipboard! Adorable prize package! The frog reminds me of Keroppi. Thanks for the chance! Thanks for a chance at this cute package! Love everything you print! Especially valentines stuff. Love doodlebug! Always so cute. Thank you. I love Doodlebug! Thanks for offering up this great prize! Thanks for the chance to win this great prize package…love those Doodlebug products, always so cute! So adorable and I just love the sweet colors! Thanks for a chance to win!! Such fun! Thanks for the chance to win, SCT and Doodlebug! How fun would that prize package be. Thanks for the chance to win. This is such a cute set! Thanks for the chance to win! I love Doodlebugs clipboards. 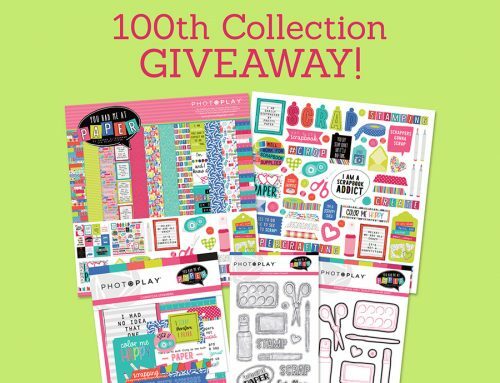 This is such a great giveaway!! Thanks! If I’m lucky with this prize, my daughter will surely take it all to make stuff for her BF. What a fun collection! So many possibilities. Oh, to win a Doodlebug prize pack, that would be awesome. Love their products. Thank you for this chance. Happy Valentines everyone. Love the size of that clipboard!! Would love to meet the postlady at the door to get my package. Congratulations Leanne!Thank you for this amazing giveaway! Love it!!! Doodlebug’s products are so cute!!!! Having fingers crossed!!! Wonderful Doodlebug prize–it could be a late BD present for me! Thanks for the chance! I would love to win this fantastic prize from Doodlebug! Thanks for the chance SCT. I love Doodlebug papers and embellishments! Happy Valentine’s Day! I have never made a clipboard project before so I am very intrigued to try it. Love the stickers. It looks like a lot of fun! Good luck everyone! Love all the hearts, flowers, colors, and more. Love the chance to win. I would share. Thanks. Fabulous Doodlebug designs….as always! Happy Valentines Day!!! Thank-you for the chance to win, very cute design!!!!!!!!!!!! Gotta love everything Doodlebug. So darn cute and fun. omgosh Doodlebug is my favorite aND IT IS SOOOO HARD TO GET AROUND HERE! How fun!! Love all of these products — thanks for the opportunity to win 🙂 Happy Valentine’s Day to everyone at SCT! great giveaway! so much great fun art could be displayed on these! Love this prize what a cute set! Love Doodlebug and the wonderful fun colors they always use. Thanks for the chance. What a fun prize, I love Doodlebug! Thanks for a great giveaway. Thanks for the chance to win. Doodlebug is delightful! So much of inspiration going on here. Thanks so much for this awesome opportunity to win all these products. What a wonderful prize to win and beautiful designs for Valentine’s Day! It would be great to win! This is adorable,I would truly enjoy having this, hope I win. What a lovely Valentine’s prize package. Thanks for the chance to win. have a nice Valentines Day!!! I’d sure be cheered up if I won this great package and I’d use it to put a smile on many others. I don’t know a better company in this industry. Your products are delish. Would love a chance to win and use these gorgeous items! Love these Doodlebug clip boards! They always have the cutest products in fun colours. Thanks for the opportunity to win. What a great package to win, some thing for everyone. I love Valentine’s Day items – thanks for the chance to win! I love doodlebug items! Thank you for an awesome giveaway! ooohh—how lovely it would be to win this! wonderful package to enjoy with SCT inspiration. Cheers! Great pize. Thanks for the chance to win! wow!! oh my cuteness!! 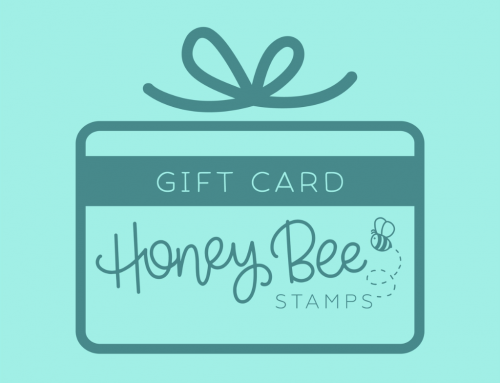 this is such a love-ly amazing giveaway! I absolutely ❤️?❤️!! so sweet and generous of you! I would be so happy to be blessed with this! thanks so much for a chance! lots of L?VE, kindness and big HUGS to you ❤️!! have a blessed day! ? I love all the doodlebug products it’s inevitable. Congrats to the winner, I’ crossing my fingers for this prize. What a cute package! Thanks for the chance to win. Sweet things from Doodlebug! Spring has sprung with this line! Thanks! How fun! I love their product! Thank you for always sharing with us! This prize package is soooo cute! Thanks for the chance to win! Doodlebug Designs has the cutest critters, and the cheeriest colors and prints!!! I can’t stop smiling whenever I see their fabulous products? Thanks for this awesome giveaway! Love the Valentine package. Doodlebug has the nicest products. Thanks for the contest!!! What a great giveaway! I love Doodlebug! What a cute prize package! Thanks for a chance at winning. So cute, would love to win. Wow! I love Doodlebug, and had so much fun at Crop and Create Markham, in their classes! Would love to win this. Thank you. Lovely prize especially the clip board! Thanks for the chance to win this ?? Thanks for the chance to win. Doodle bug anything is always so cute! Although Valentine’s Day has passed, it’s never to soon to start on Sweetest Day. Thanks for this opportunity to enter your giveaway. One of my favorite collections by Doodlebug! Thanks for the opportunity! Doodlebug is the best – love their designs! What a super cute collection!!! Thanks for a chance to win it!! Love, love, love me some Doodlebug! And I’m loving all of the cute little Valentine critters! I LOVE all things ‘Valentine’. What a great prize package. Oh so cute! I haven’t seen Doodlebug stuff in forever!!! It is adorable. Love love love! I was just trying to find blank calendars to print and create on my own. This would be awesome to win!! Congrats Leanne! You are going to love that kit! It’s is so lovely. What a beautiful pack….thats the song my beautiful daughter walked down the aisle to…would be perfect in her wedding book. i love this, would be so cute to win ! I can just see the cards coming together with this set ideal for teenage girls. Great giveaway and it was fun watching the Tuesday Distress video. Very cute Love themed giveaway. The calendar is perfect for year around enjoyment! Valentine’s Day may be done for this year but! I like to let all the ‘loves’ of my life know how much I love them throughout the whole year ?. This is such a fun prize pac – thanks so much for the chance to win!! SCT you rock!!!!! ? Oh, I so love Doodlebug! their collections are always so bright, colorful and happy. Thanks for the chance at this great prize. What an amazing prize! Doodlebug is my absolute favorite!!! This package looks awesome and has the fun factor added in. Would love to win this. A fun heart scrappy goodness ??? i love doodlebug! good luck to all! Love all the cute stickers! Thanks for the chance to win! Wow what an awesome prize! Thanks for the great contests. Doodlebug and love-they just go together. It’s a great prize. love me some doodlebug!just in time for valentine’s pix. 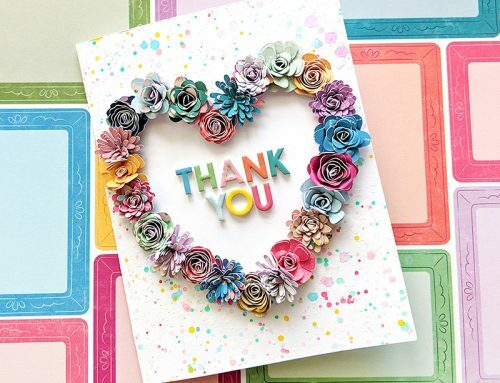 This Valentines Clipboard prize from Doodlebug looks so sweet….thanks for the chance to win! Love scrapbook and cards magazine, and love doodlebug!! Looks like a lovely collection! Thanks for the chance to win! Always love Doodlebugs Valentine collection. Super cute again!!! Love Doodlebug products! Thanks for the chance at a fun prize! Hi! I really love de Valentine`s week inspiration! The cuteness has no words!!!! Wow…what a wonderful giveaway,it’s so cute,lovely and full of love! Thanks for this great opportunity! Thanks for a chance to win. I love Doodlebug. Doodlebug always has such fun embellishments. Thanks for a chance to win. Oh! the cuteness of this clipboard set! Thanks for the chance! Valentine’s Day is one of my favorites to decorate with! Red, pink, and white, I just love the color combos and this kit is adorable! Thank you! This is such a cute collection of products. Thanks for the wonderful giveaway! You always have such awesome giveaways, and keeping with the theme this one is all about love, would love some loving with this. Your colors always make me smile. Bright and cheerful. 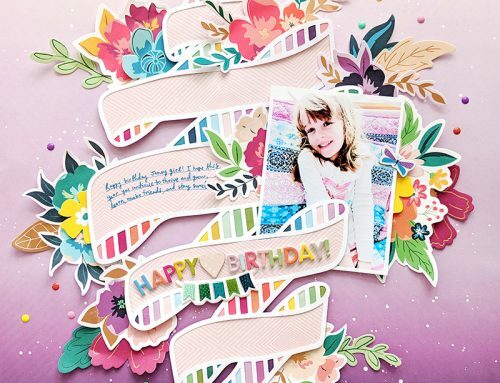 Doodlebug is one of my absolute favorite paper and embellishments line! Would so love to win this “lovely” prize package and add to my collection :o) thanks so much for the opportunity to win! Love all things by Doodlebug & would love to win! Thank you for the opportunity. Keep sharing great inspiration and helpful information to all us crafters. What a wonderful prize package. Doodlebug is always so generous. Thanks for the chance to win! Thanks for the opportunity to win a Valentine’s clipboard package. Cuddlebug, you are awesome! Whoo-ee! Love this! Hope I win! Thank you for the opportunity. Doodlebug comes out with the cutest things! Love! Love! Love Doodlebug Designs! What a fantastic package! What a lovely prize for anyone! Filled with hearts and love! This is a lovely package. Thanks for the chance to win. This looks so fun! And so different! I love anything Doodlebug! Thank you for an awesome giveaway! I love Doodlebug. You have such adorable papers!! I would be so lucky to win this!!! Thank you for the chance! The valentine clipboard looks like a lot of fun. Thank you for offering it as a prize.